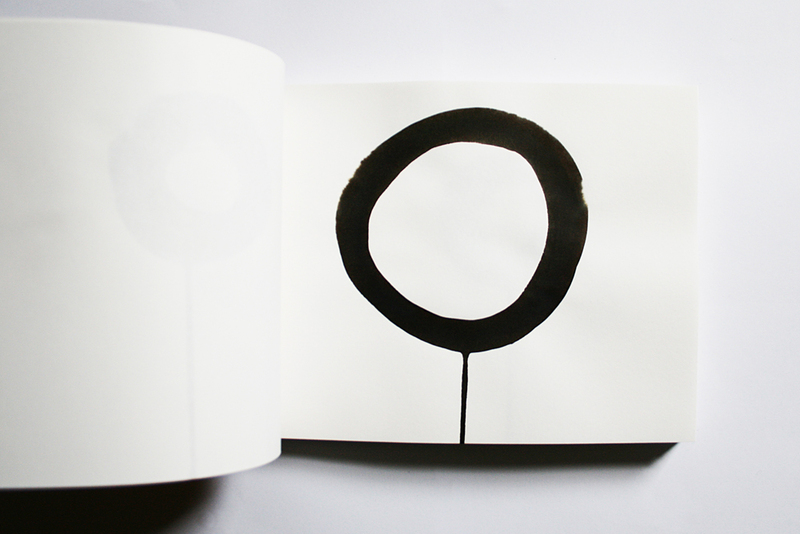 Hand-bound book of ink drawings. 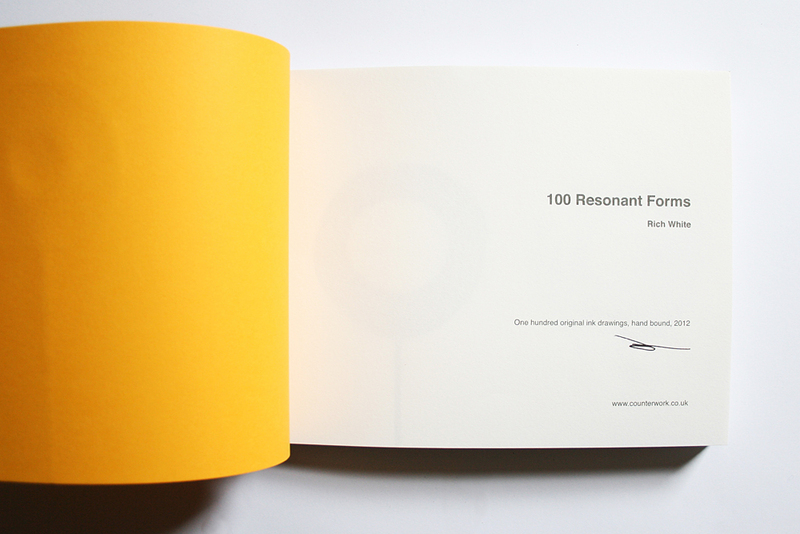 Commissioned by Zeitgeist Art Projects for Collectible, London. 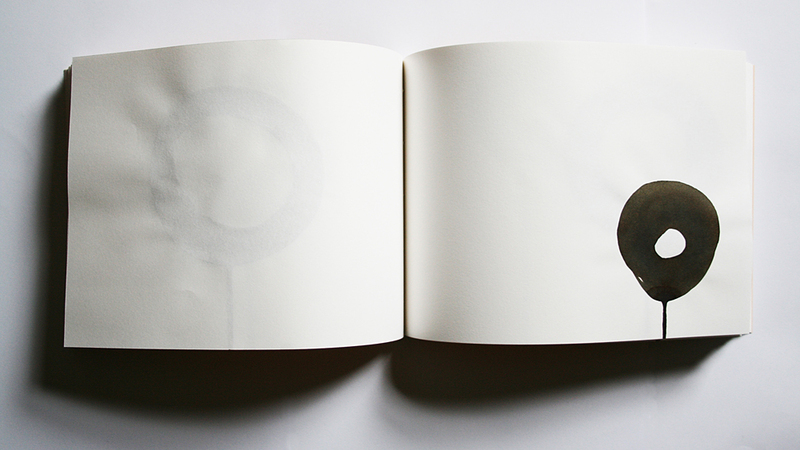 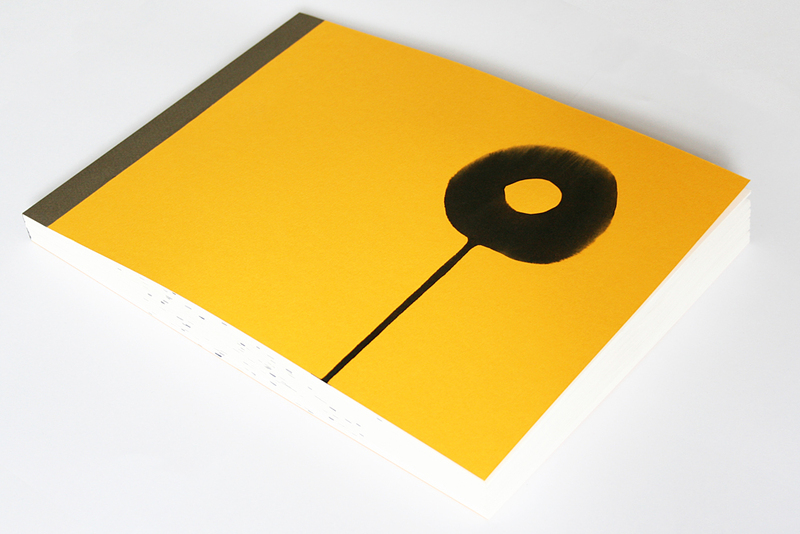 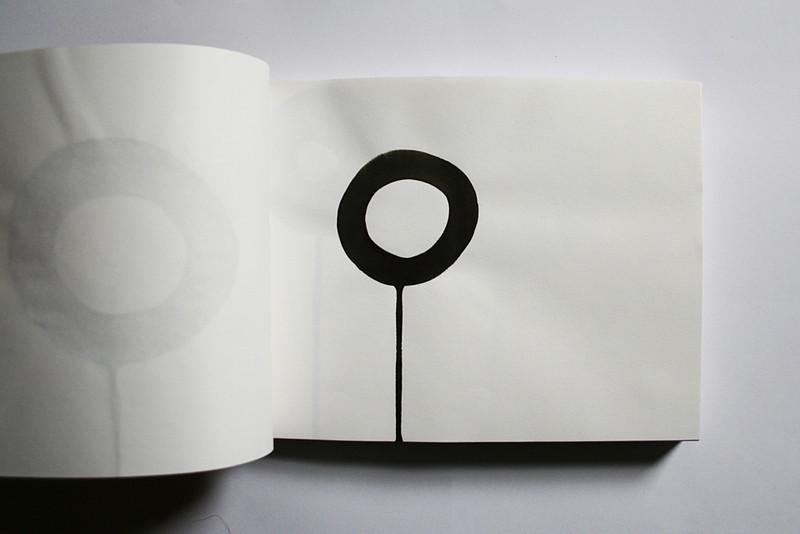 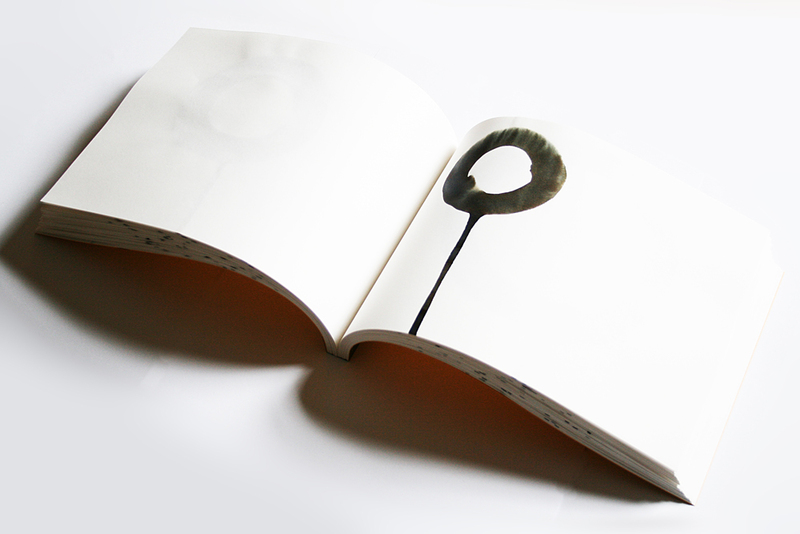 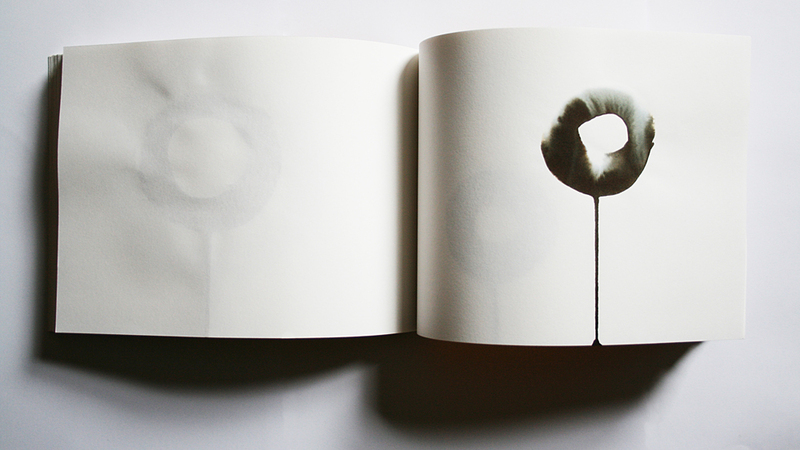 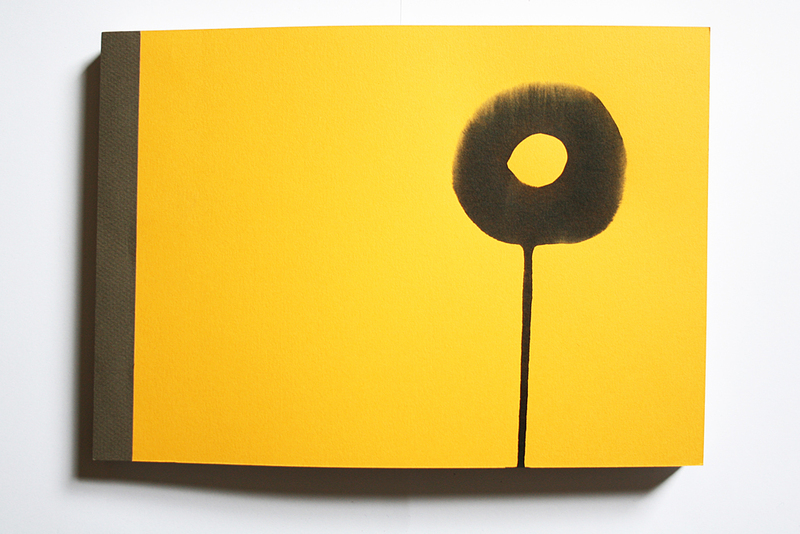 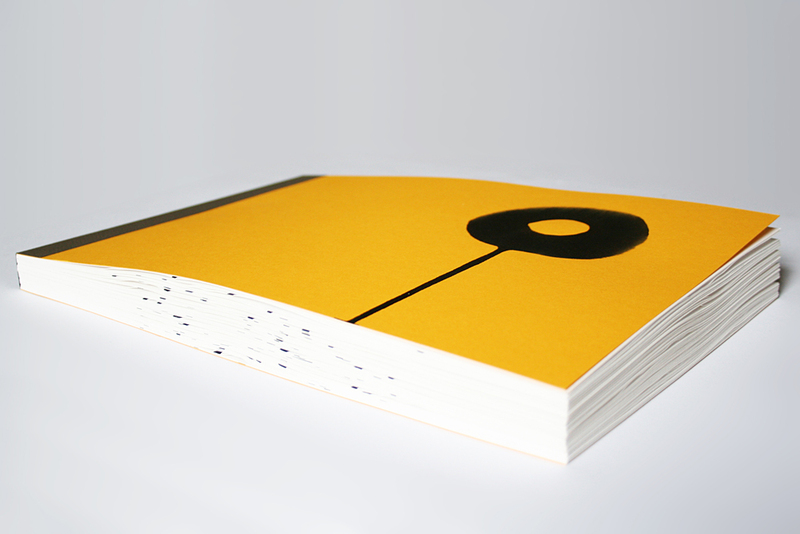 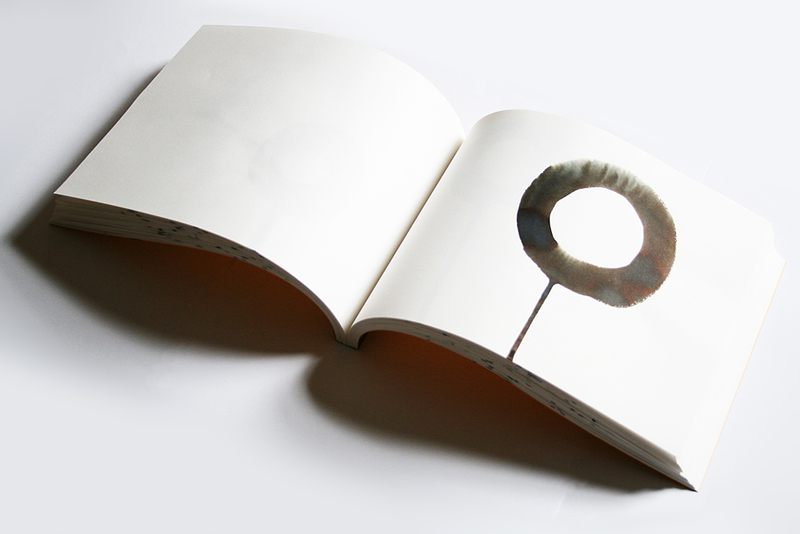 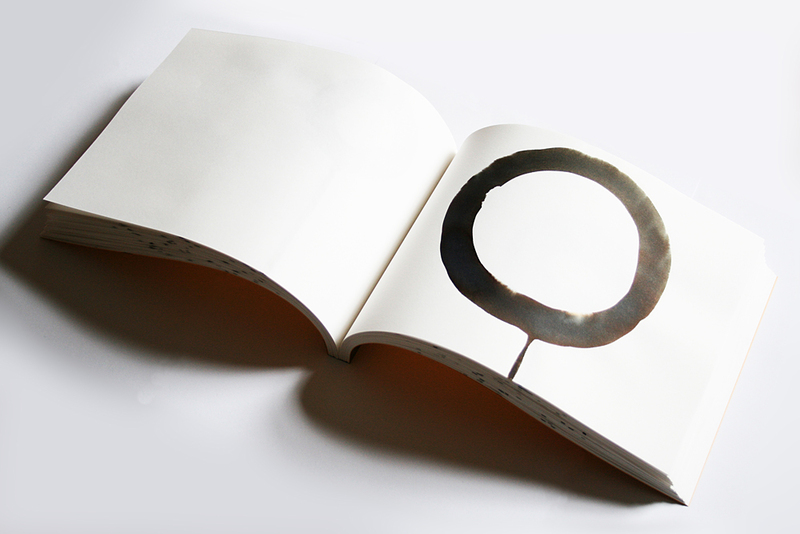 A hand-bound book of 100 ink drawings on A4 sheets. 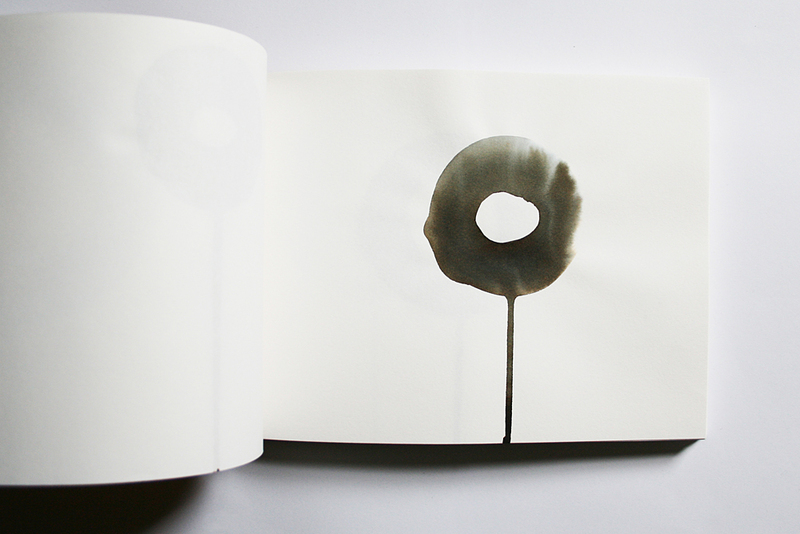 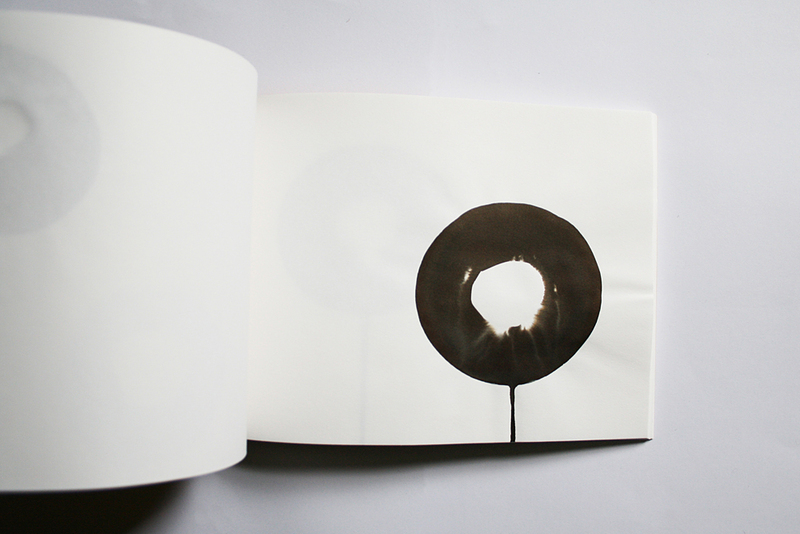 Each drawing was created using the simple process of first applying water in a circle, then ink in a circle, and then lifting the sheet vertically. 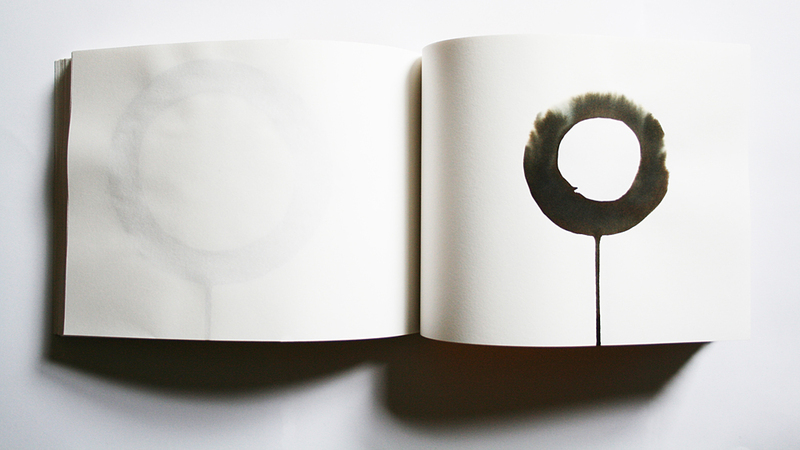 Subtle variations in application and chance occurrences ensure that each drawing is unique.